// An undisputed knife in the tactical industry, the XM folders have an impressive track record of reliability and durability. Currently available in a variety of blade styles and color options, the XM series has propelled knife maker Rick Hinderer to the forefront of tactical folding knives. But it's the knowledge through the many years prior as a custom knife maker that Rick Hinderer has applied to the XM series folders that give them the their consistency and toughness. // Some people have said that the blade steel is difficult to sharpen but regardless of which steel you purchase, it's this reviewer's experience that CTS-XHP is outstanding for knife applications. The XM folders should roughly be around 60HRC but a non aggressive approach to sharpening them is optimal. 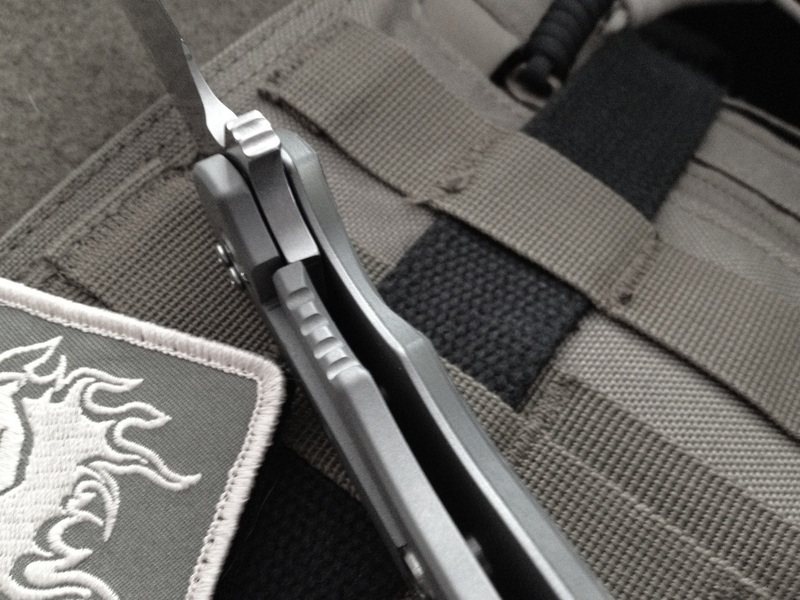 The overall blade geometry makes these folders more for utility than precision cutting. The "Spanto" grind offers a unique level of performance for those that enjoy a curved belly to their cutting edge whilst maintaining a very stout tip for prying. 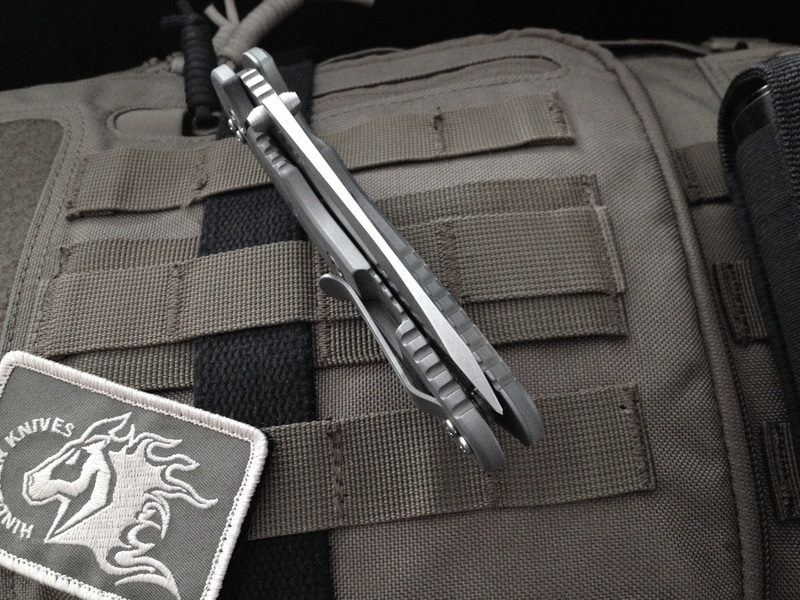 The XM folders usually have a stone wash on the titanium lock side which doesn't provide much traction. The 3" version is very compact and fits snugly into the palm of an average male hand which makes it a very fun knife that feels secure in hand. The washers are made of Teflon and this combined with the minimal blade weight of the 3" means that the flipper action is not explosive & nowhere near the feeling of knives with bearings. Virgin* Teflon washers don't require much lubrication and also are moderately heat resistant. 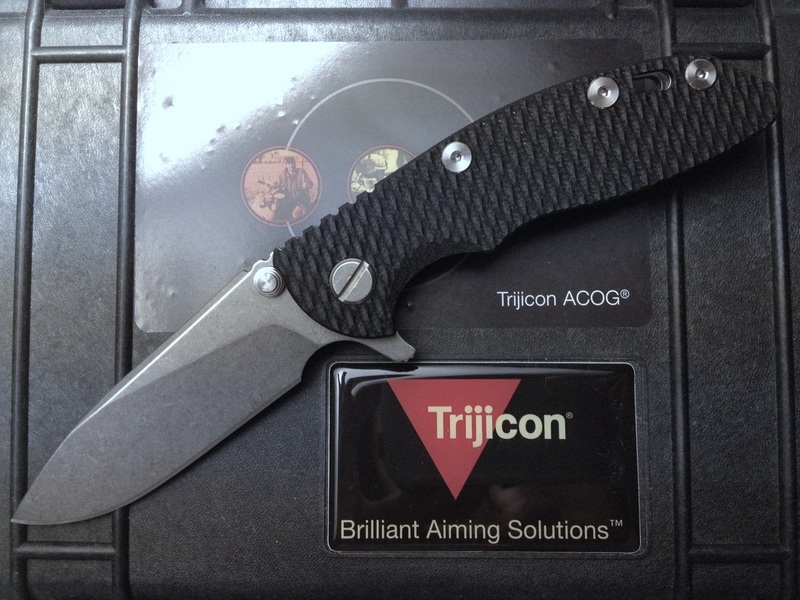 A flipper version is recommended for the 3" size if any type of self defense applications are in mind. production so you can find minor cosmetic flaws in the matching of or detailing of small areas. The blade steel has always been primarily from the mid grade stainless steel options that offer more than adequate performance for folding utility knives. CTS-XHP steel has stellar performance and doesn't require heavy sharpening methods. // For the money regardless of what price you are paying on the secondary market or directly, the XM folders will not let you down. They are all built with quality & a long track record of proven performance. Anyone that purchases this knife will be content with their decision and the knife will last a lifetime. One of the most admirable knives produced in the United States that represents a standard of excellence in the custom knife world.